The Chinese Investors are coming, ~20-33% price jump in 6 weeks! 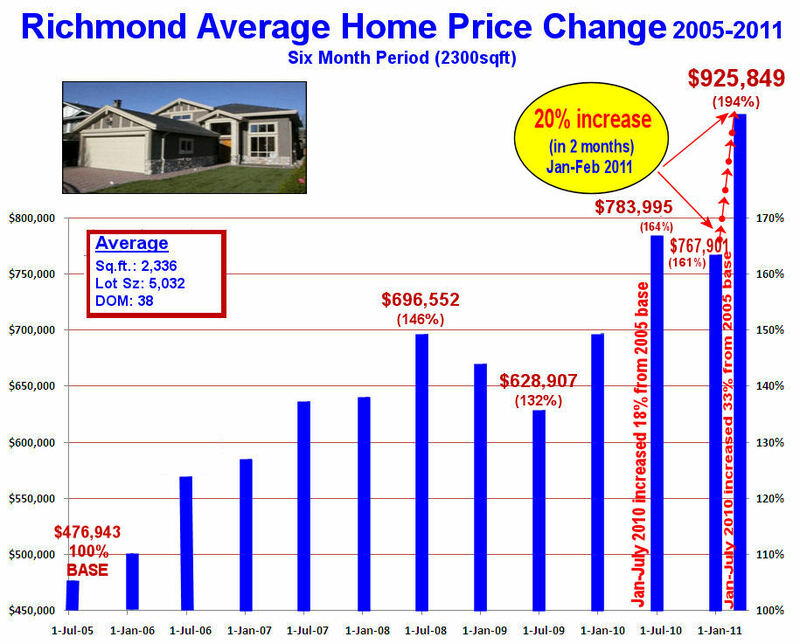 The Richmond Residential Market has jumped ~20-33%, an all time price increase, nearly $158,000 for the average home* in just 6 short weeks with no end in sight. 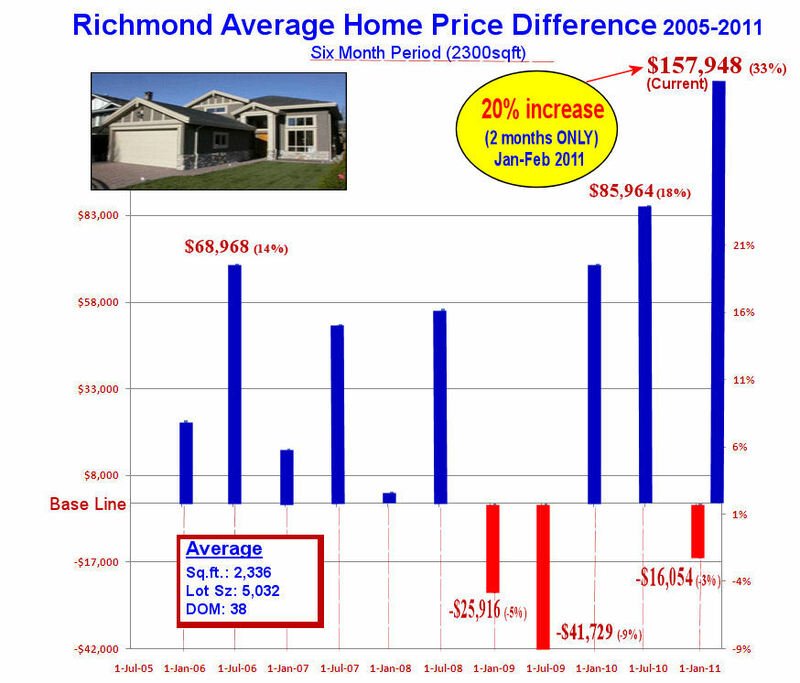 Richmond has shocked our Real Estate industry with an all time price increase record of 20%-33% in just 6 weeks. Is it sustainable? Will it affect your home valuation? The fact is that are we have an increased buyer demand coming from mainland China. It is our understanding that China has changed some government rules making many wealthy Chinese consider investing outside China. So as the story unfolds, we had just experienced a quiet market in most of BC's cities up until January 15th or thereabouts when Chinese investors started arriving by the plane load. 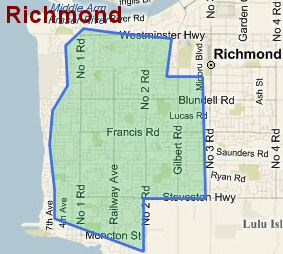 Prior to their arrival, their agents pre-purchased many homes with assignment clauses and then drove and helicoptered them around the Richmond and surrounding coastal areas and purchased many of these homes. 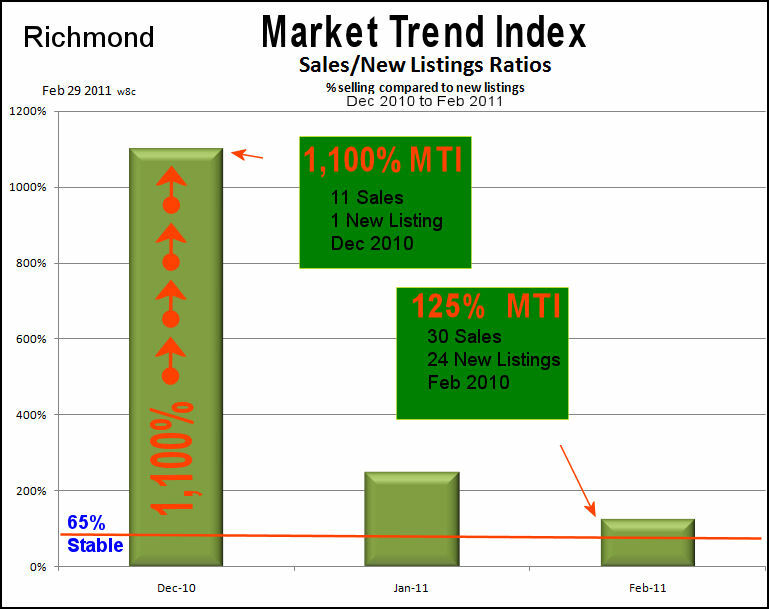 As a trend our new home sales each month have exceeded our new listings for the month. 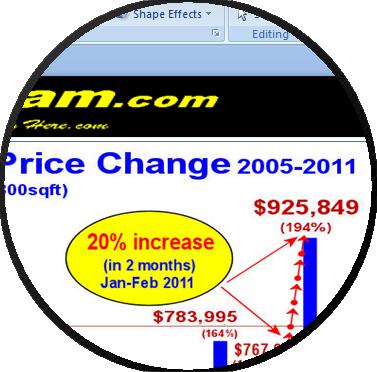 This has caused a record 20% price increase in just 2 months, and a 33% price increase from our 2005 base price of $477,000. Meanwhile outside this narrow geographical corridor, our general real estate market appears to reflect normal to below normal sales / listings volumes. NOTE : areas just 10 miles apart can experience dramatically different market activities. So read and listen to the podcasts to see how this phenomena could affect your market. Advanced Market Reports: to access the current Supply-and-Demand and the next "30 Day Market Projections" reports members click here. When you sell more than you list for a given month then soon you will run out of listings and have more demand than supply thus forcing prices up. 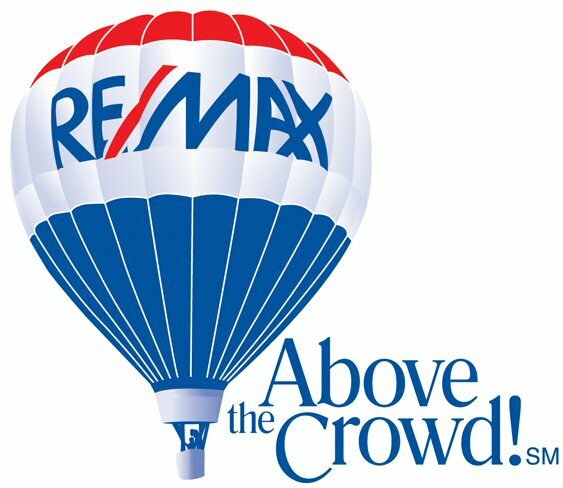 In the Richmond area for the outlined search criteria we had only 1 listing at a time when we had a strong sell through of 11 sales, and then in January we had only 6 listings with 15 sales in the same month. Both of these ratios - 1,100%, and 250% - are much higher than the 65% ratio needed for market stability and have put all time record upward pressure on home prices. Our analysis shows that these home prices have risen 33% in about 6-8 weeks. In February we saw 24 new listings on the market and 30 sales giving us a 125% MTI which is double the 65% needed to stabilize the market. This market is still setting record price increases with no end in sight.